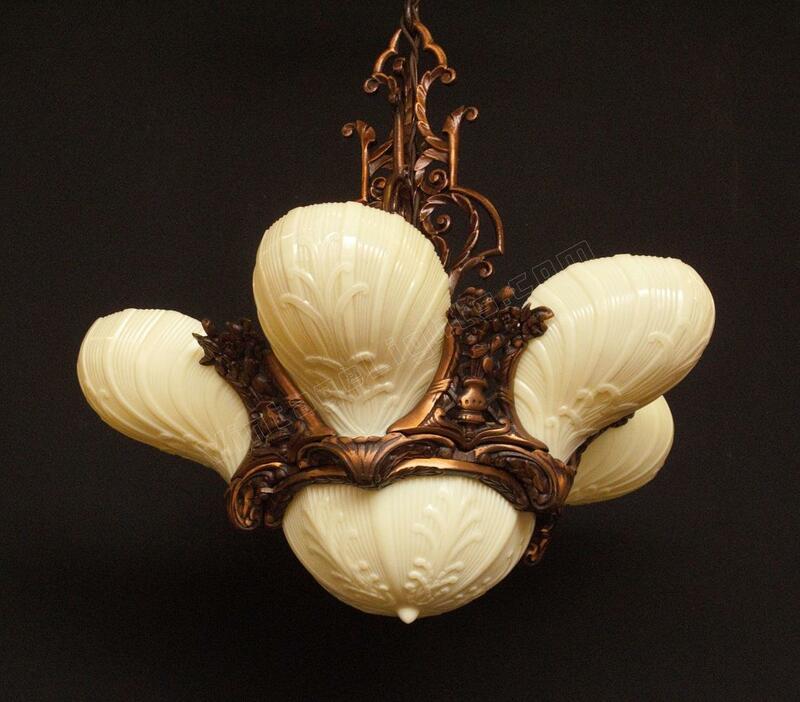 One of the rare American masterpieces in this genre of vintage lighting fixtures. It captures the extravagance and beauty of the Roaring 20s (although possibly made in the early 30s). 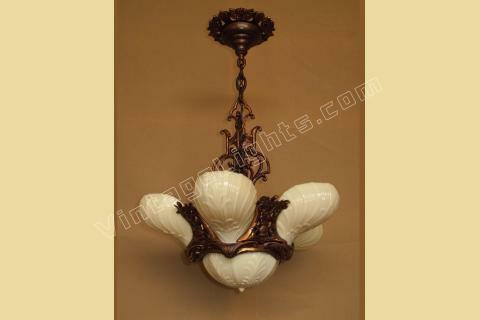 This 6 shade version, which includes the matching bottom shade, is much rarer than the 5 shade version which has no bottom glass. 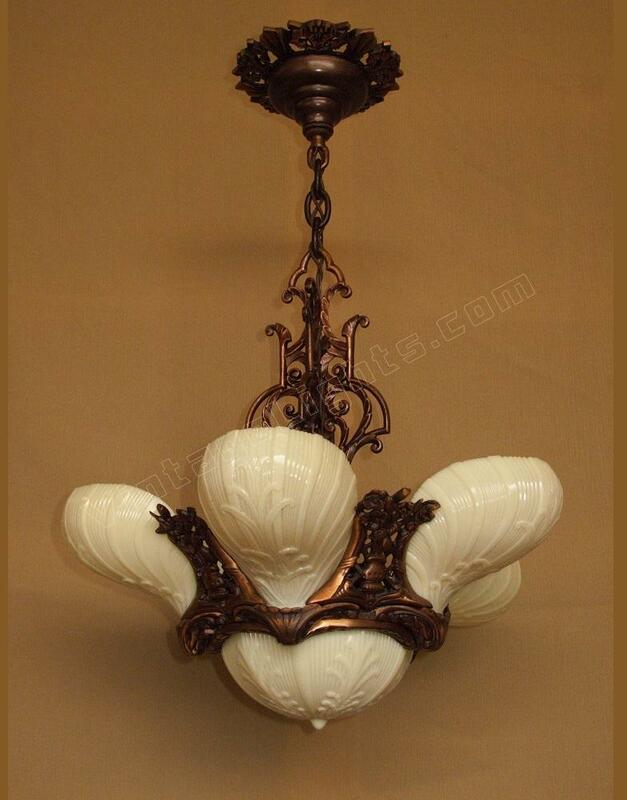 Finely cast solid bronze body, riser, and decorative ceiling ring show an expert touch in casting techniques. 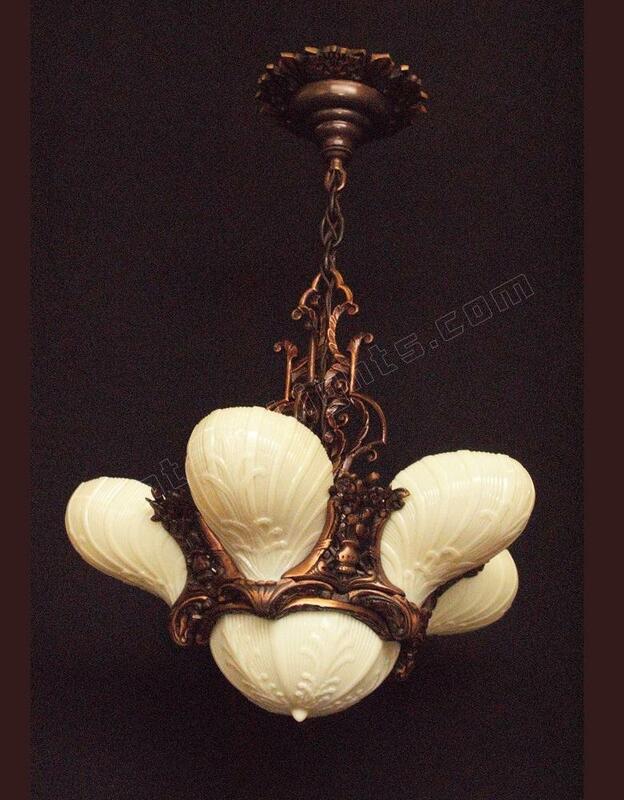 The original finish on the bronze with the contrasting beauty of the custard glass slip shades sends this vintage chandelier to the head of its class. In manufacture, the bronze had been patinated to a dark golden brown then the highlights were buffed out to the shiny bronze base metal. Over the years the shiny bronze has taken on a warm amber tan color, just the right color of patina we like to see indicating the original finish and creating an enjoyable visual contrast between the darkened original patina and the warm lighter bronze highlights. 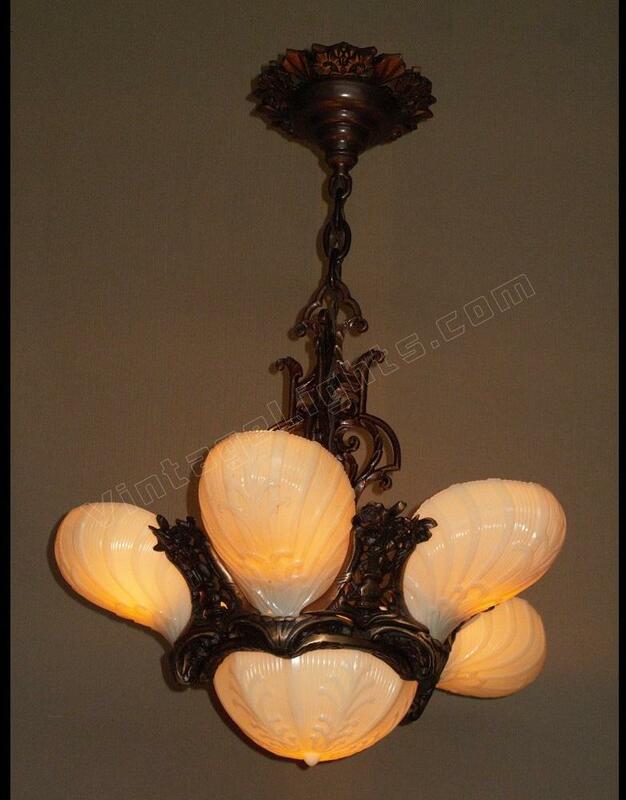 The unique detailing point to Mid-West Chandelier Co. as the maker, known for their exquisite detailing in bronze lighting. Height as shown: 26 inches. Height can be adjusted with only our actual costs charged. As with all of our fixtures they are re-wired using UL listed parts, tested, and include mounting hardware so they are ready to install.